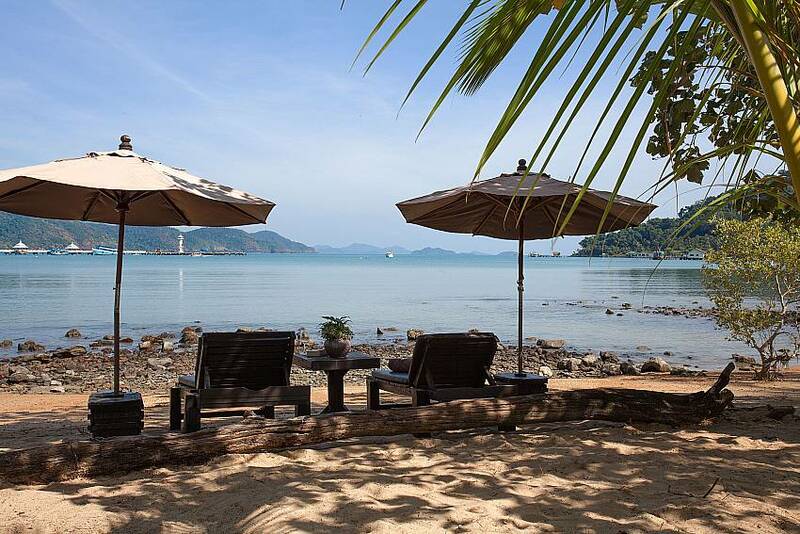 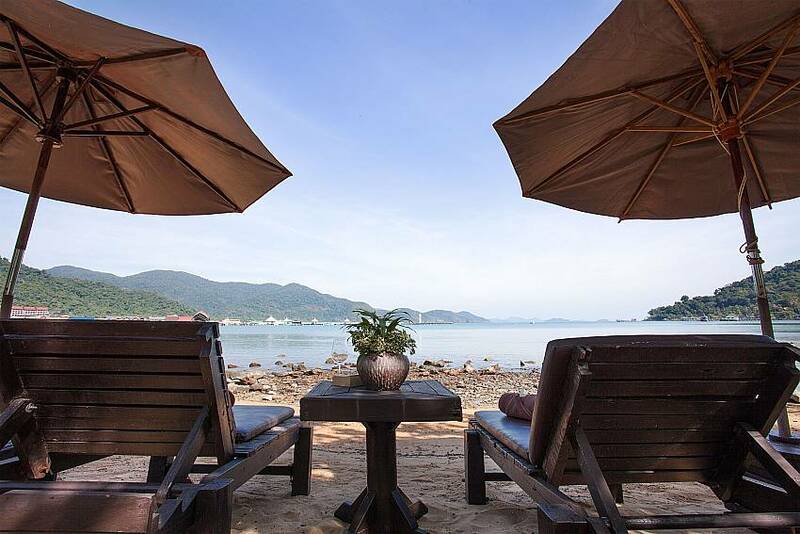 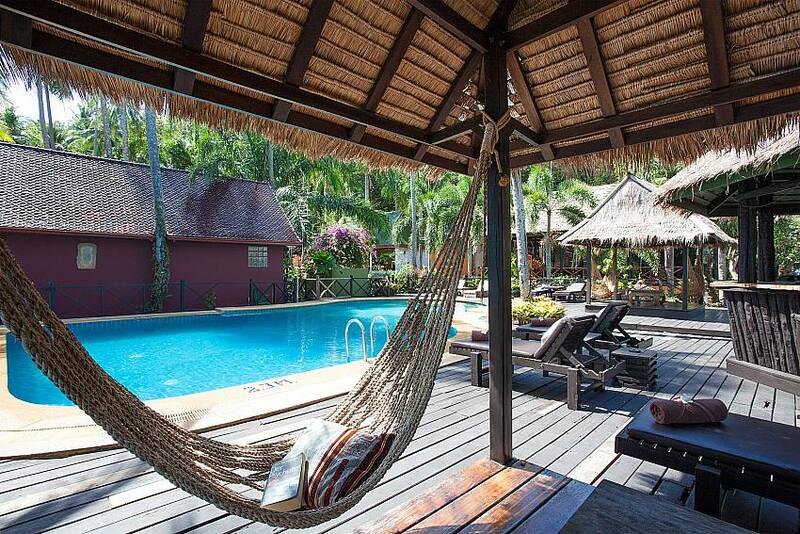 This 1-bedroom villa is situated in a stunning resort on Koh Chang at Bang Bao. 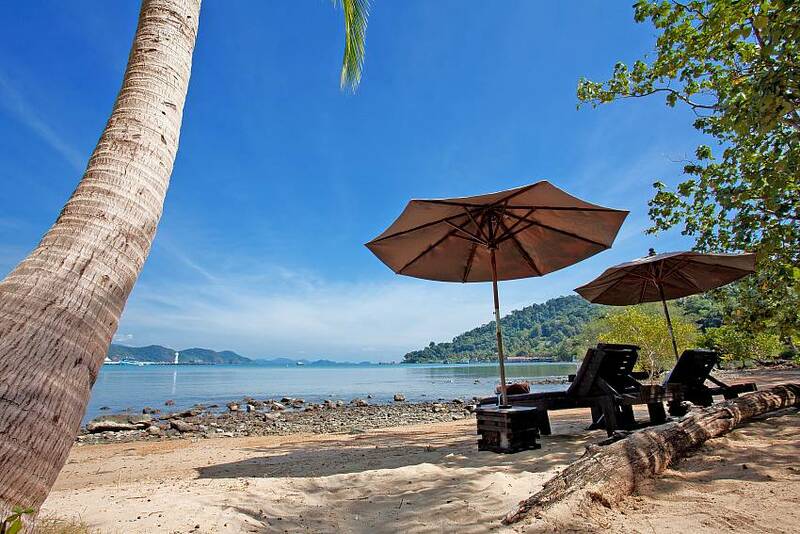 Coming with many onsite facilities such as a sea-view swimming pool and restaurant, this is an interesting villa that can be combined with next door to create a 2-bed experience. 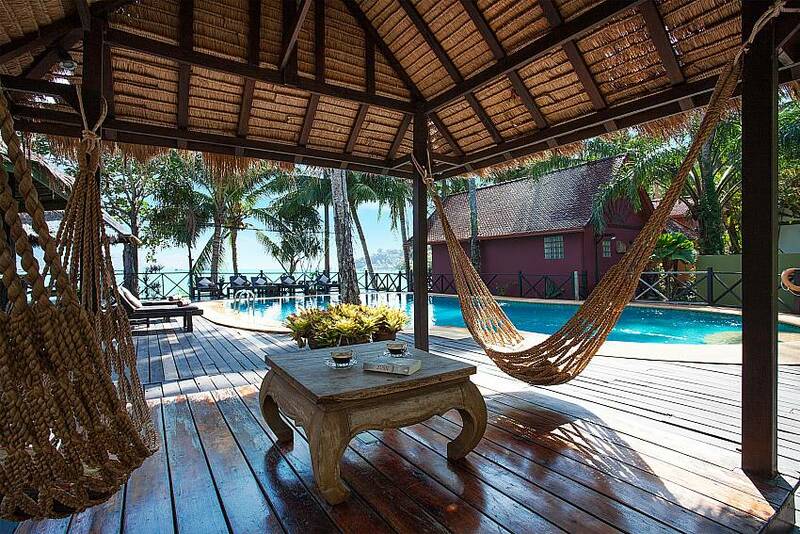 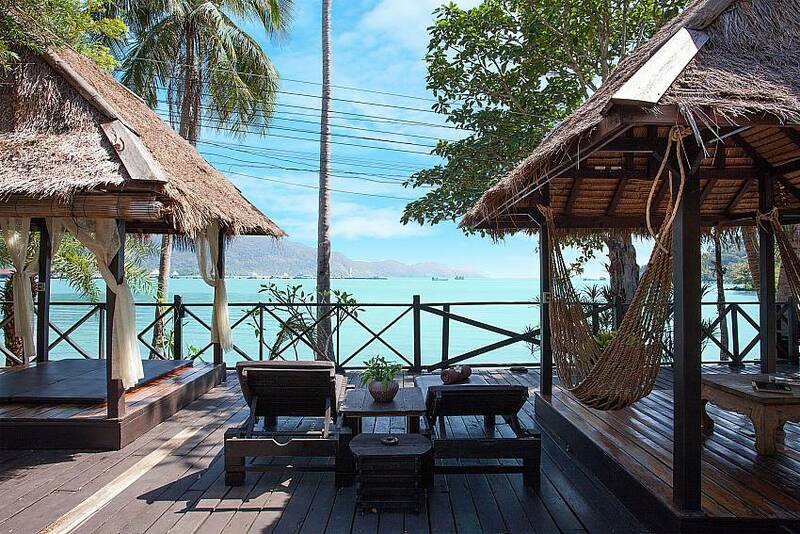 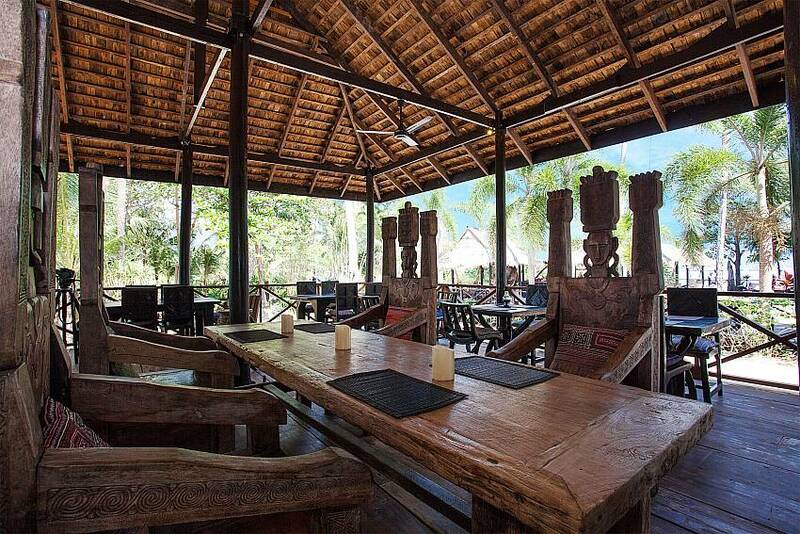 Made entirely from wood and just 30-seconds from the beach, this villa is simply stunning. 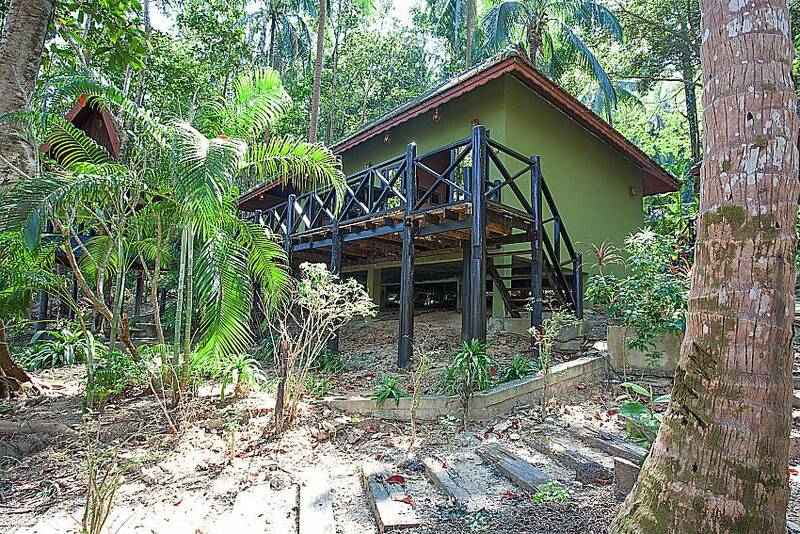 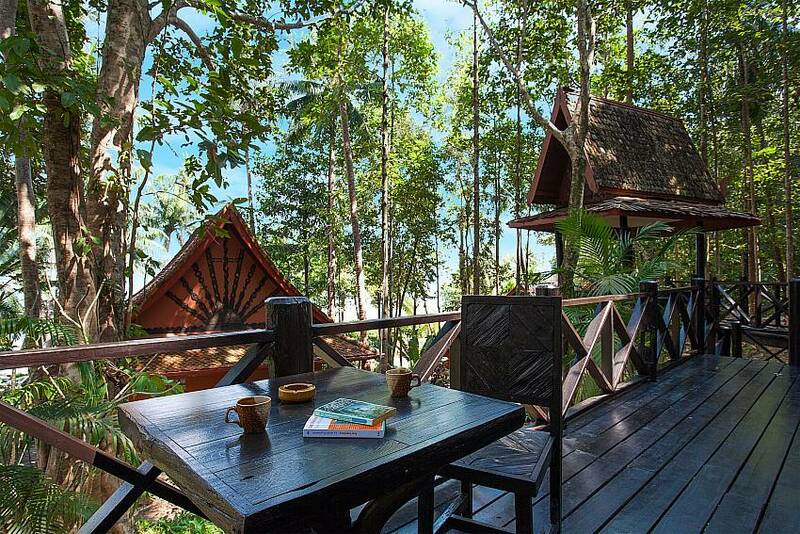 This 1-bedroom villa was constructed and designed in wood and is located in a beachfront resort at the southern tip of Koh Chang Island at Bang Bao. 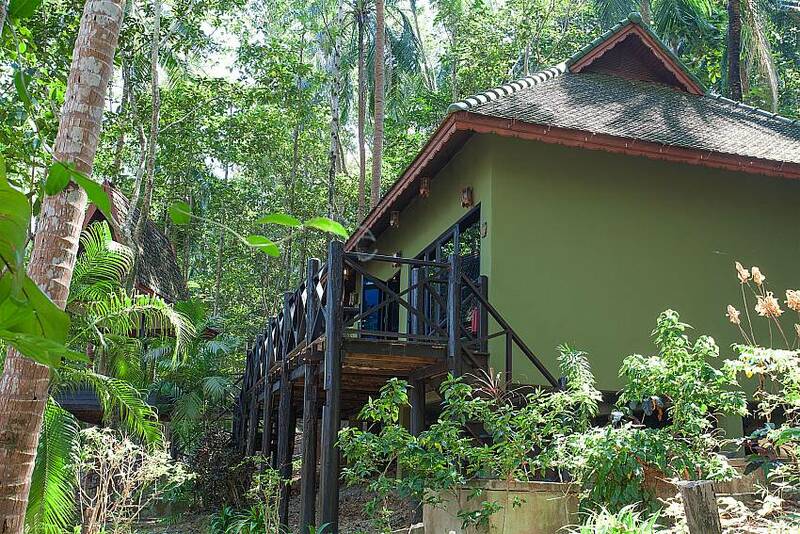 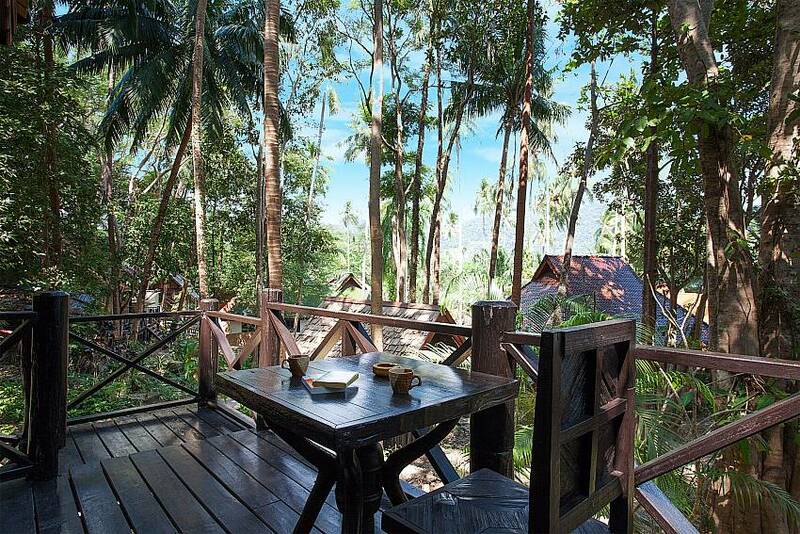 Not only does the resort have vast communal facilities, but also has a breathtaking jungle location. 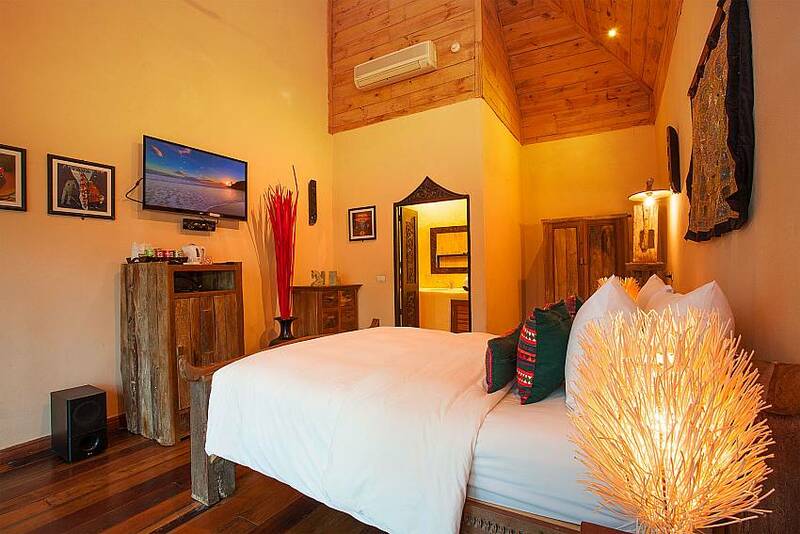 Although this is a 1-bedroom villa, there is a shared living room area with the bungalow next door, which can also be rented, turning this from a 1-bed that sleeps 2 people, into a 2-bed option sleeping up to 4 adults. 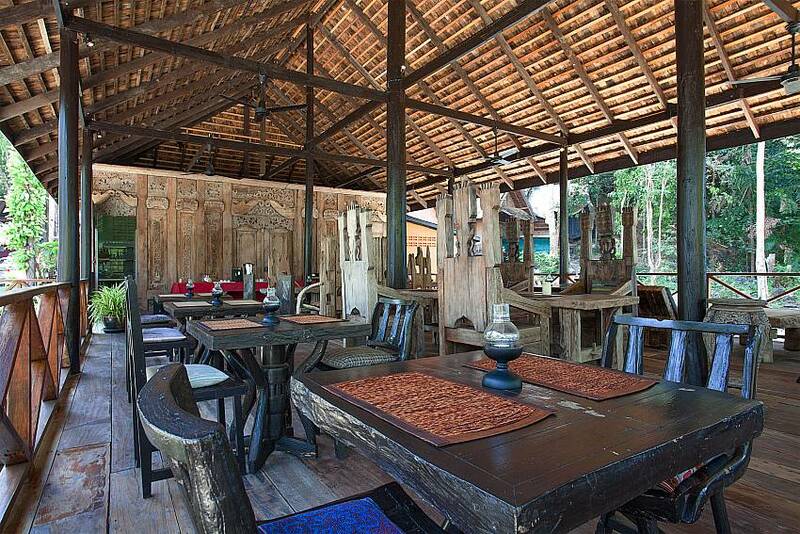 The lounge area between the 2 villas can also sleep 2 kids (under 11) on the Balinese daybed. 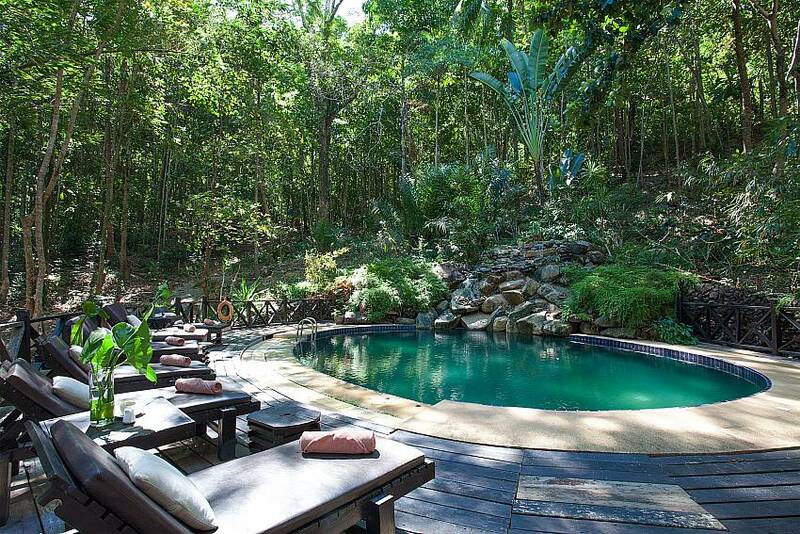 Set in a slightly elevated location in the resort, directly amidst the jungle terrain, the villa is a 30-second stroll from the beach and encapsulates that special Thai holiday experience. 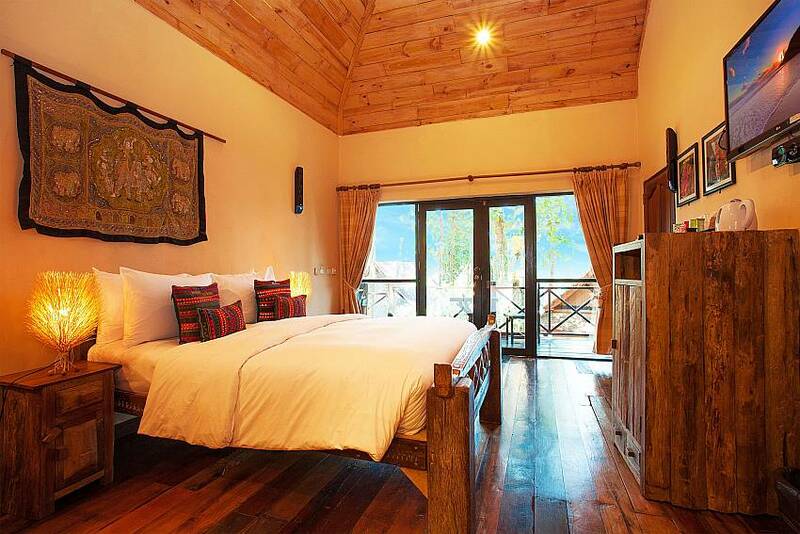 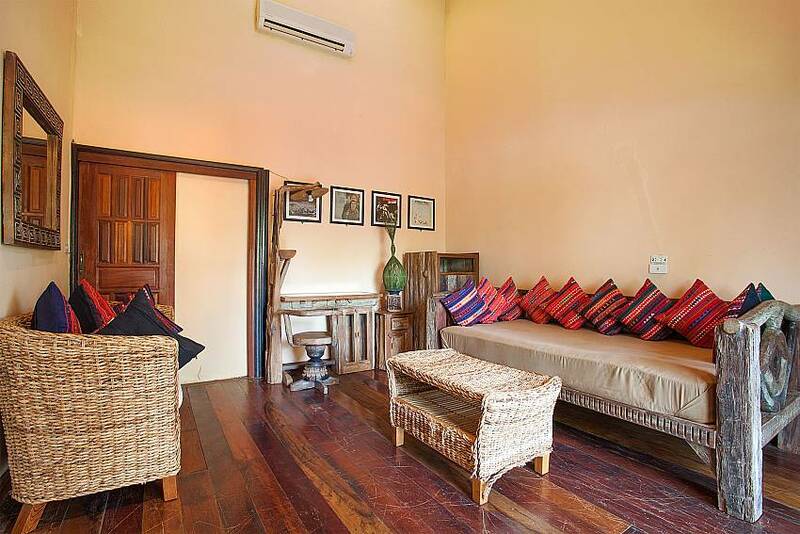 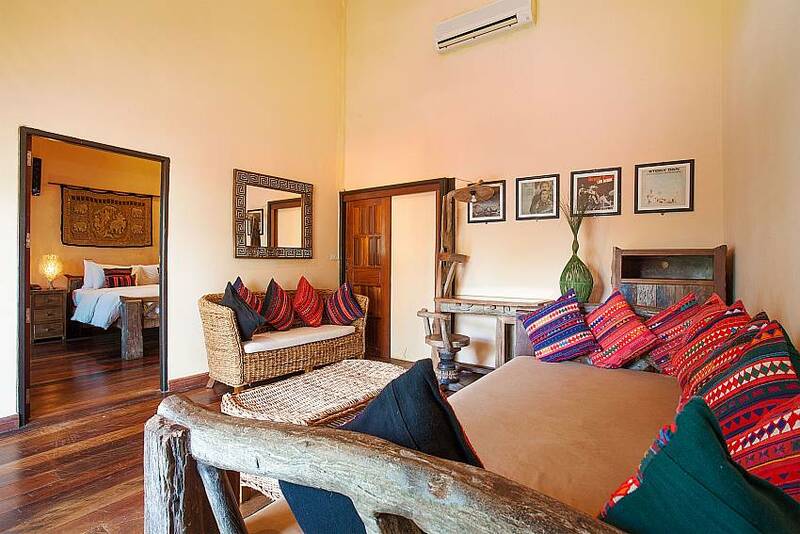 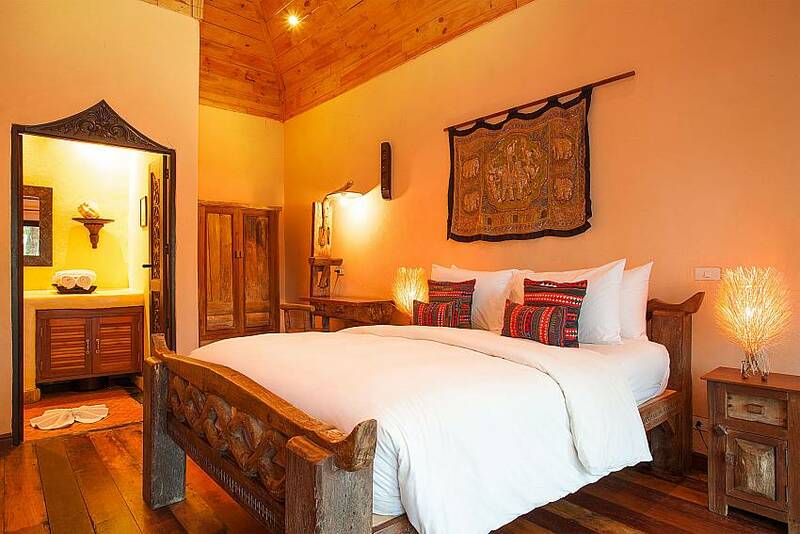 Made from wood and enjoying some inspirational furnishings, floors and vaulted ceilings from reclaimed ancient teak wood, the moment you enter this villa, you are simply star-struck. 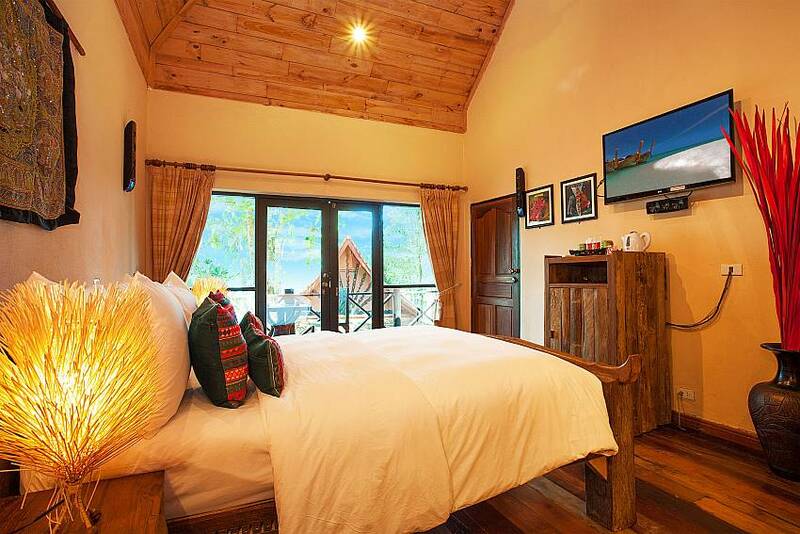 The bedroom area comes equipped with a king-size teak wooden bed, a flat-screen TV with international channels, and a Sony Digital 5.1 CD Home Theatre system. 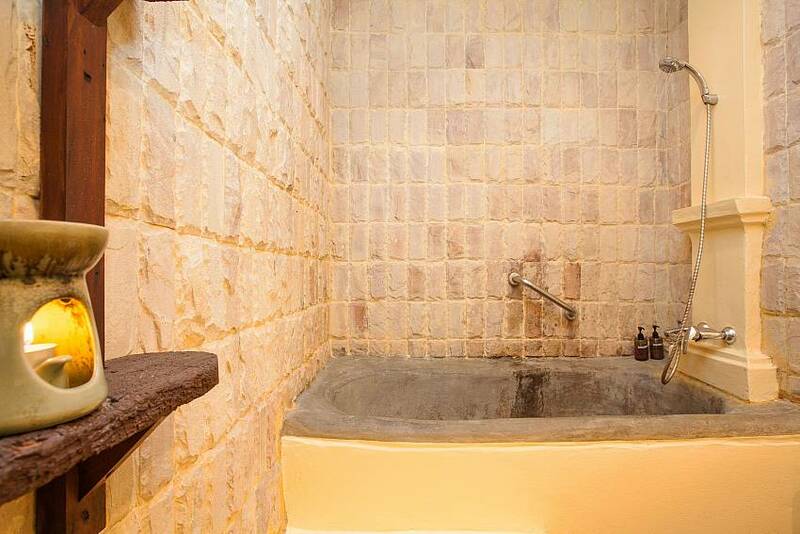 There is an ensuite bathroom with a toilet, rain shower and wash basin. 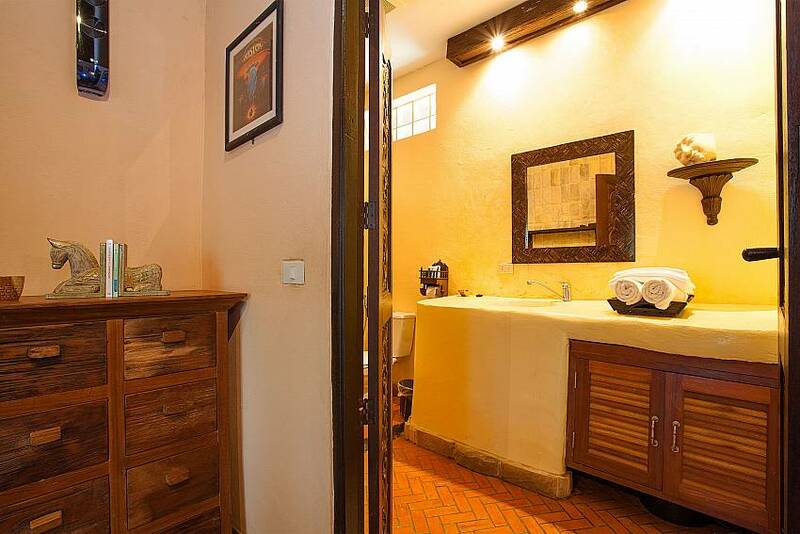 Daily cleaning services and Wi-Fi are included in the rates. 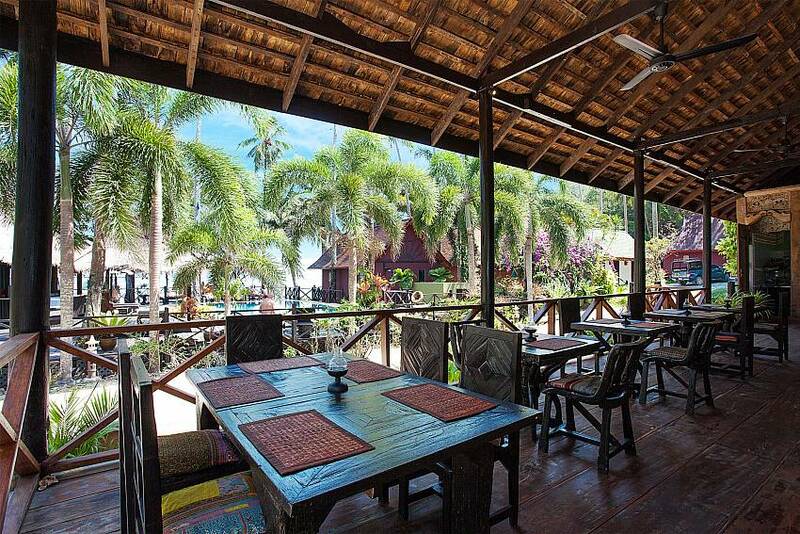 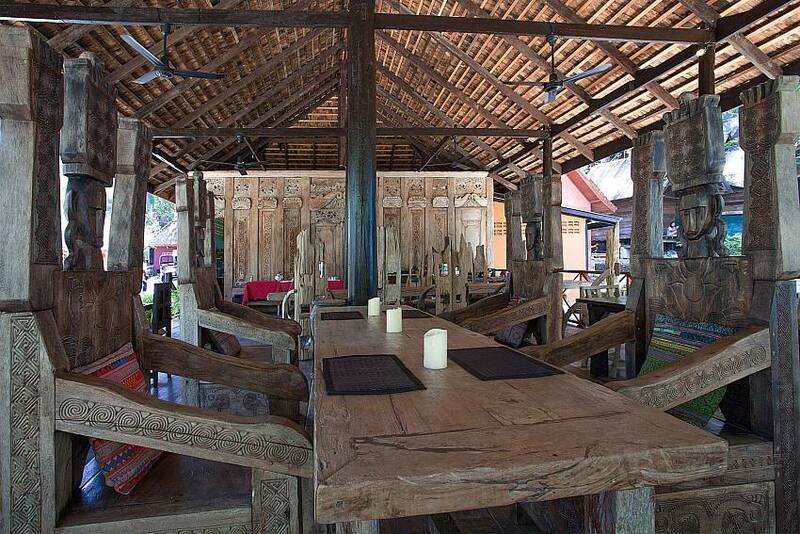 There are many different villas in this resort if you are looking for larger group bookings. 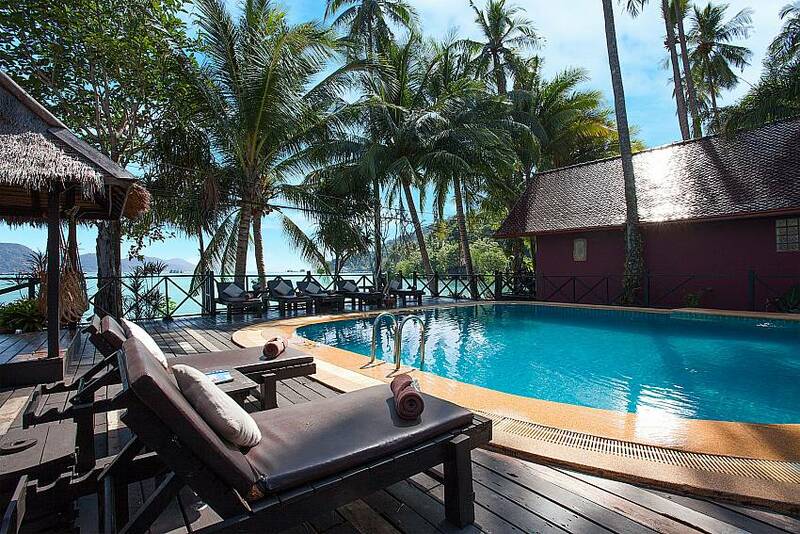 Some of these villas have daybeds/sofas, some come without. 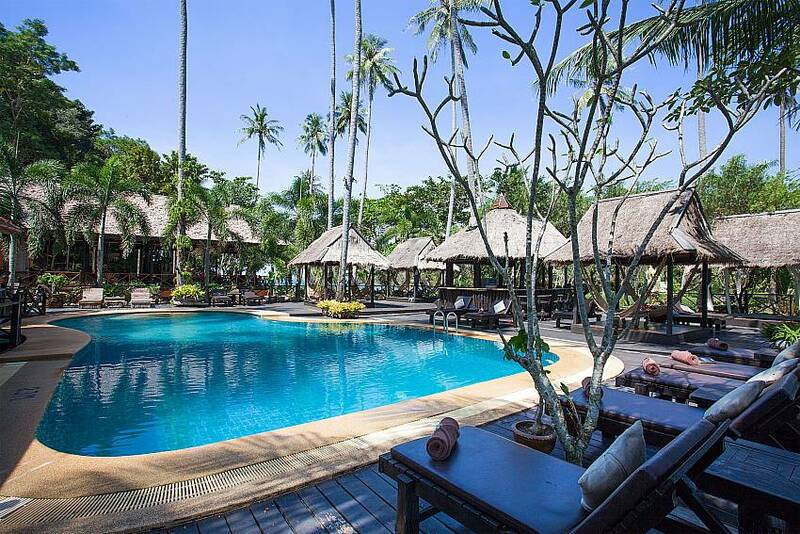 The resort enjoys world-class facilities with a beachfront swimming pool with Thai salas and a bar, alongside a second swimming pool located in the heart of the jungle with a surrounding wooden deck terrace. 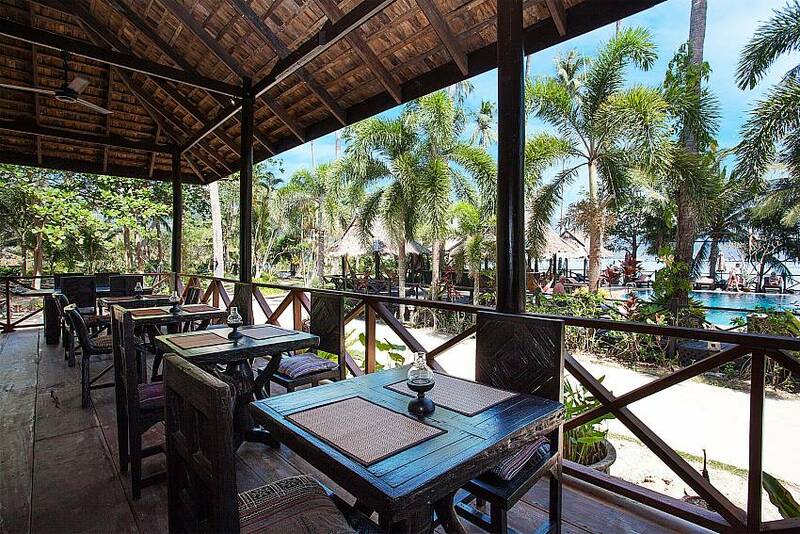 Take advantage of the popular and delicious onsite restaurant that not only offers great food, but also sea-views. 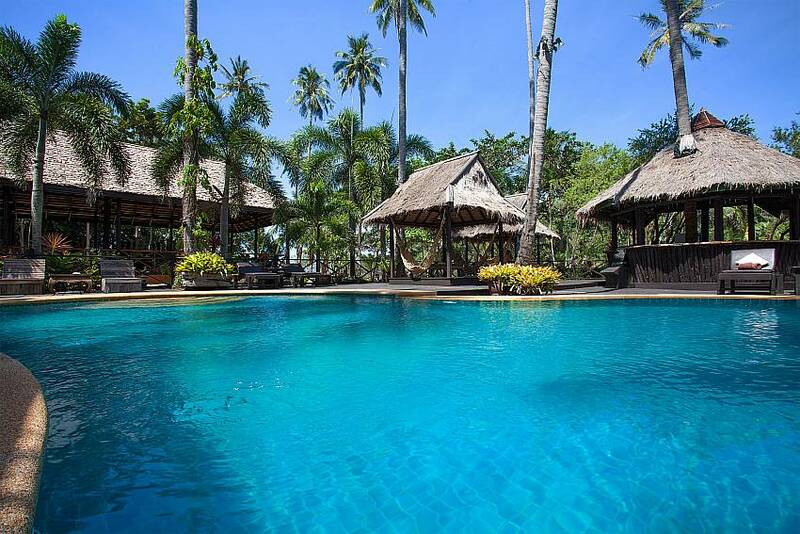 This villa is situated in an incredible location in the heart of the jungle directly on a peninsula with the ocean on both side, making this a truly inspirational place to holiday. 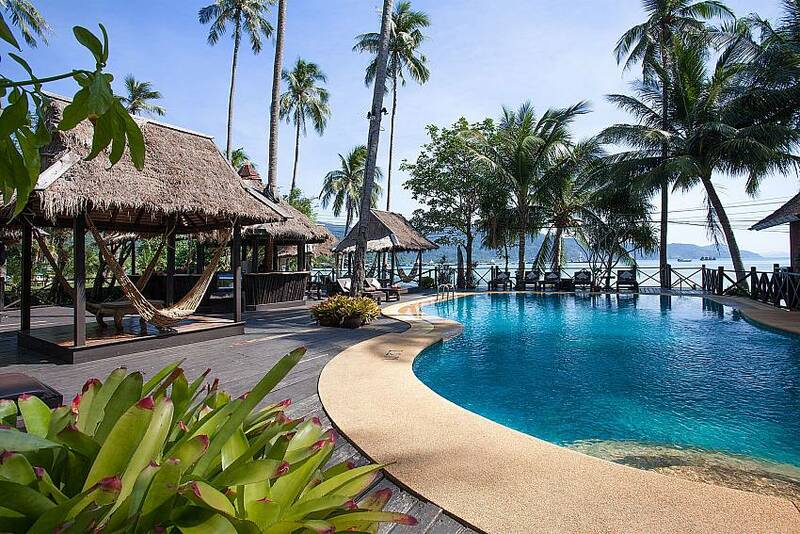 A 45-minute drive from the Koh Chang ferry terminal, this resort is situated on the southernmost tip of Koh Chang at Bang Bao. 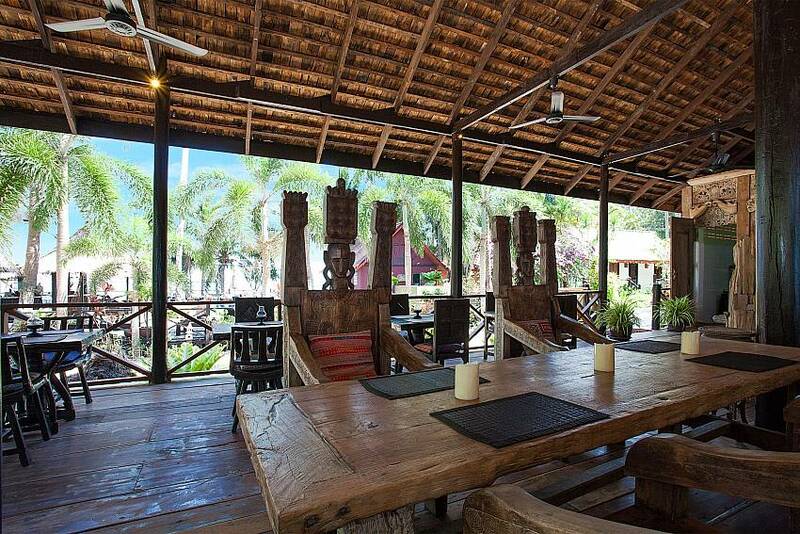 Within a 5-minute drive, you will find a host of local and international eateries and even a few bars. 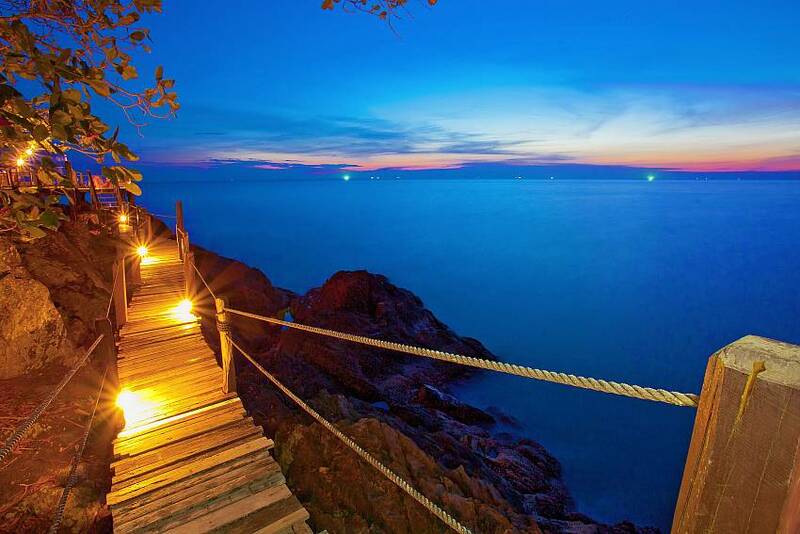 Stunning natural attractions such as Klong Plu Waterfall and the Treetop Adventure Park. 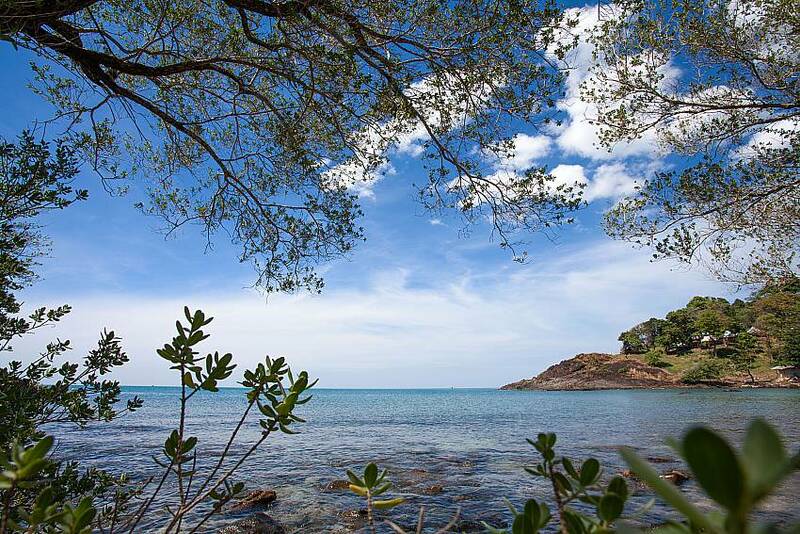 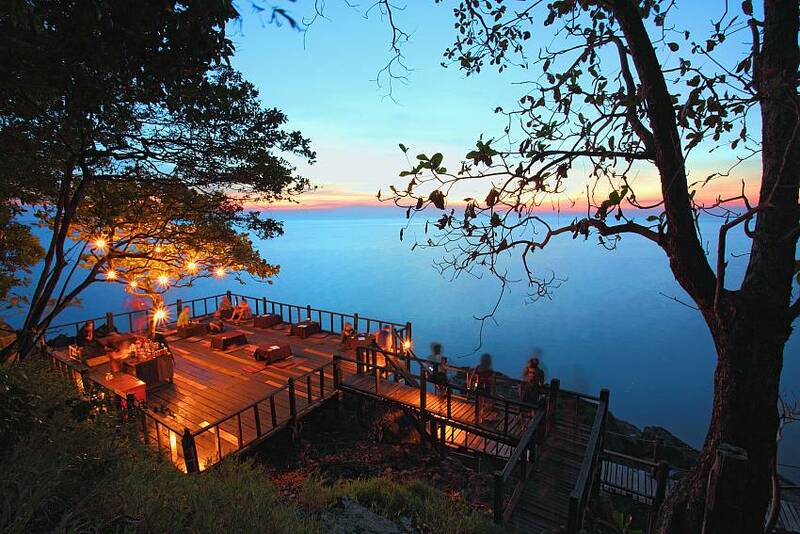 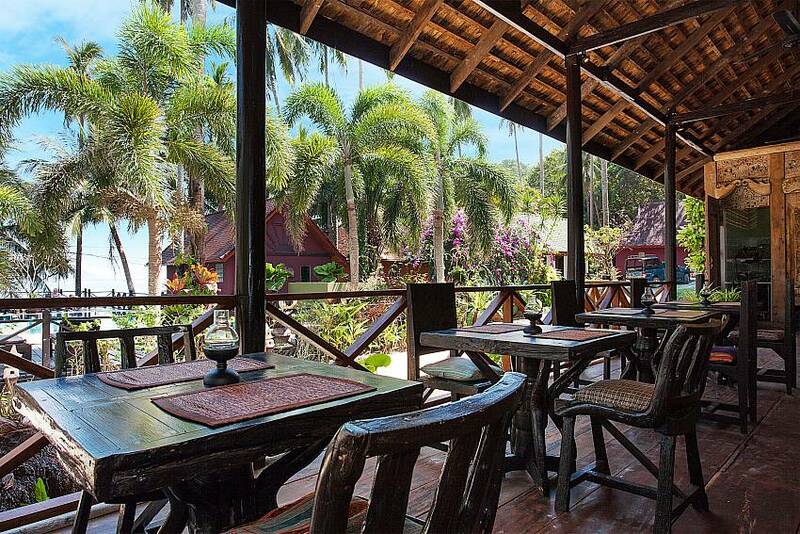 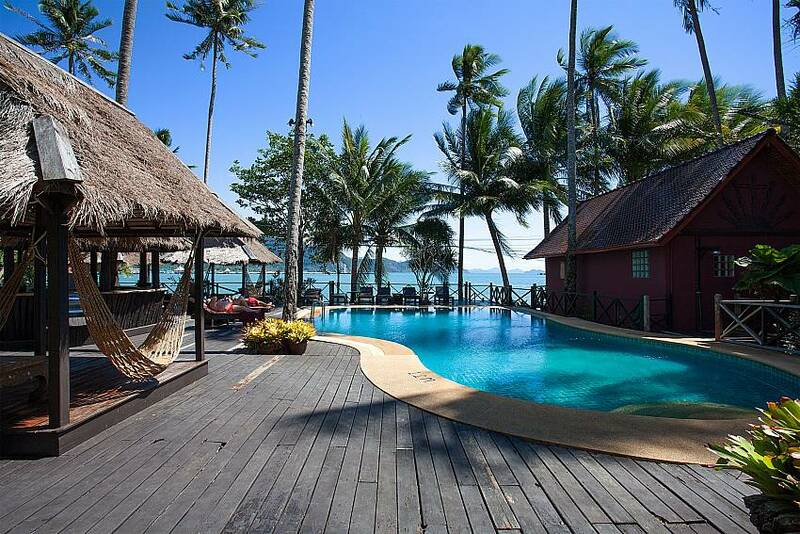 To find more stunning Koh Chang villas rentals, please click here!